Context - Agriculture is closely linked to many concerns, including biodiversity loss, global warming and water availability. Despite significant increases in productivity, malnutrition and poverty still plague many parts of the world. This International Assessment of Agricultural Science and Technology for Development (IAASTD) focuses on how to make better use of agricultural science, knowledge and technology to reduce hunger and poverty, improve rural livelihoods, and foster equitable and sustainable development. For decades, agricultural science has focused on boosting production through the development of new technologies. It has achieved enormous yield gains as well as lower costs for large-scale farming. But this success has come at a high environmental cost. Furthermore, it has not solved the social and economic problems of the poor in developing countries, which have generally benefited the least from this boost in production. Today’s world is a place of uneven development, unsustainable use of natural resources, worsening impact of climate change, and continued poverty and malnutrition. Poor food quality and diets are partly responsible for the increase of chronic diseases like obesity and heart disease. Agriculture is closely linked to these concerns, including the loss of biodiversity, global warming and water availability. The International Assessment of Agricultural Science and Technology for Development (IAASTD) focuses on agriculture as the provider of food, nutrition, health, environmental services, and economic growth that is both sustainable and socially equitable. This assessment recognizes the diversity of agricultural ecosystems and of local social and cultural conditions. Bioenergy is heat, electricity, or transport fuel produced from plant or animal materials. Millions of people still depend on traditional bioenergy like wood or charcoal for cooking and heating, which can be unsustainable and pose health risks. In many developed countries, the rising costs of fossil fuels, as well as concerns about energy security and climate change, are generating new interest in other forms of bioenergy. For example, new liquid biofuels are made from crops or from agricultural and forestry residues. However, energy is needed to grow, transport and process bioenergy crops, causing considerable debate about their net benefit in terms of greenhouse gas reduction. Another major concern is that using crop land to produce fuel could raise food prices, drive small-scale farmers off their land and prolong hunger in the world. Electricity and heat can also be obtained from plant residues and animal wastes, either by burning them directly or by first producing biogas then burning it. These renewable energy sources usually produce less greenhouse gas emissions than other fuels. They can be effective, for instance in places not connected to the electric grid. Biotechnologies are techniques that use living organisms to make or modify a product. Some conventional biotechnologies are well-accepted, such as fermentation for bread or alcohol production. Another example is plant and animal breeding to create varieties with better characteristics or increased yields. Modern biotechnologies change the genetic code of living organisms using a technique called genetic modification. These technologies have been widely adopted in industrial applications such as enzyme production. Other applications remain contentious, such as the use of genetically modified (GM) crops created by inserting genes from other organisms. Some GM crops can bring yield gains in some places and declines in others. Because new techniques are rapidly being developed, longer-term assessments of environmental and health risks and benefits tend to lag behind discoveries. This increases speculation and uncertainty. The possibility of patenting genetic modifications can attract investment in agricultural research. But it also tends to concentrate ownership of resources, drive up costs, inhibit independent research, and undermine local farming practices such as seed-saving that are especially important in developing countries. It could also mean new liabilities, for example if a genetically modified plant spreads to nearby farms. Agriculture has contributed to climate change in many ways, for instance through the conversion of forests to farmland and the release of greenhouse gases. Conversely, climate change now threatens to irreversibly damage natural resources on which agriculture depends. The effects of global warming are already visible in much of the world. In some areas, moderate warming can slightly increase crop yields. But overall, negative impacts will increasingly dominate. Floods and droughts become more frequent and severe, which is likely to seriously affect farm productivity and the livelihoods of rural communities, and increase the risk of conflicts over land and water. Also, climate change encourages the spread of pests and invasive species and may increase the geographical range of some diseases. Although food production has increased in recent decades, many people remain undernourished, a problem accounting for 15% of global disease. Many population groups still face protein, micronutrient and vitamin deficiency. Meanwhile, obesity and chronic diseases are increasing across the world because of people eating too much of the wrong foods. Agricultural research and policies should be devised to increase dietary diversity, improve food quality, and promote better food processing, preservation and distribution. Global trade and growing consumer awareness have increased the need for proactive food safety systems. Health concerns include the presence of pesticide residues, heavy metals, hormones, antibiotics, and additives in the food system, as well as risks related to large-scale livestock farming. 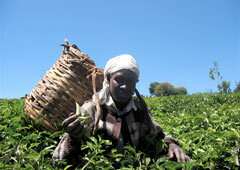 Worldwide, agriculture accounts for at least 170 000 work-related deaths each year. Accidents with equipment like tractors and harvesters cause many of these deaths. Other important health hazards for agriculture workers include noise, transmissible animal diseases, and exposure to toxic substances such as pesticides. Historically, agricultural development was geared towards increasing productivity and exploiting natural resources, but ignored complex interactions between agricultural activities, local ecosystems, and society. These interactions must be considered to enable sustainable use of resources like water, soil, biodiversity and fossil fuels. Much of the agricultural knowledge, science and technology needed to resolve today’s challenges are available and well understood, but putting them into practice requires creative efforts from all stakeholders. Small farmers and rural communities in developing countries have often not benefited from opportunities that agricultural trade can offer. Opening farm markets prematurely to international competition can further weaken the agricultural sector of a developing country, causing more poverty, hunger and harm to the environment in the long-term. Trade reforms could make relations more equitable. Developing countries would benefit of key changes such as removing trade barriers on products for which they have a competitive advantage; lowering tariffs on imports of processed commodities; and improving their access to export markets. The capacity of developing countries to analyze and negotiate trade agreements needs to be strengthened to allow better and more transparent decisions concerning the agricultural sector. Many effective innovations are generated locally, based on the knowledge and expertise of indigenous and local communities rather than on formal scientific research. Traditional farmers embody ways of life beneficial to the conservation of biodiversity and to sustainable rural development. Current trends in globalization and rising environmental and sustainability concerns are redefining the relationship of women to agriculture and development. The proportion of women involved in agricultural activities ranges from 20% to 70%, a number that is climbing in many developing countries, especially where agriculture is geared towards export. 10.3 Agricultural sustainability means maintaining productivity while protecting the natural resource base. 10.4 Human health can be improved through efforts to diversify diets and enhance their nutritional value, through advances in technologies for processing, preserving and distributing food, and through better health policies and systems.